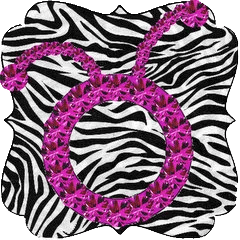 I am a DIVA today – a Cricut DIVA!! I have a fun project to share with you using my Cricut Imagine and Square 1 Masterpiece Repositionable Fabric. For information about this awesome product, or to order some for yourself just go HERE. I used my Cricut Imagine and Imagine More Cards cartridge to print and cut out this heart image. It is sized to 7.5 inches. I put the 8 1/2 x 11 sheet landscape on my mat to fit the images. I found these 8×8 metal wall decor pieces at Michaels in the Dollar Bins. They are normally $2.00, but were 40% off – score!!! I thought the image was permanent and I was prepared to sand and paint the metal, but these are stickers that peeled off pretty easily! I peeled the heart off the paper backing and stuck it down. The image is cute, but pretty flat so I grabbed some flowers and ribbon!! I layered three flowers. These are Recollections flowers from Michaels and come in two sizes. I layered two large flowers on the bottom (one upside down) and a smaller one on top. I fastened them together with a brad and put a rhinestone gem on top. I tied some 3 Girl Jam crinkle ribbon around the metal piece. Here is a great wall decor piece. I tied the ribbon on and used a glue dot to adhere the flower to the ribbon. This piece is totally temporary as you can remove the Square 1 fabric and change the look!! You can find more of my work on my personal blog HERE. Thanks for stopping by! Hi!! Lori here from ScrappinMyStressAway with a fun gift bag. I used my Cricut Imagine and Nursery Tail cartridge to make this cute gift bag for my friend’s baby boy! I print and cut out the image at 5.5 inches and 2.5 inches. I inked the edges with Vintage Photo distress ink. I cut a brown mat and used some washi tape to make a side border. I put two pieces of tape side by side. I adhered the brown paper to a kraft gift bag. I then adhered the frog image to the brown paper. 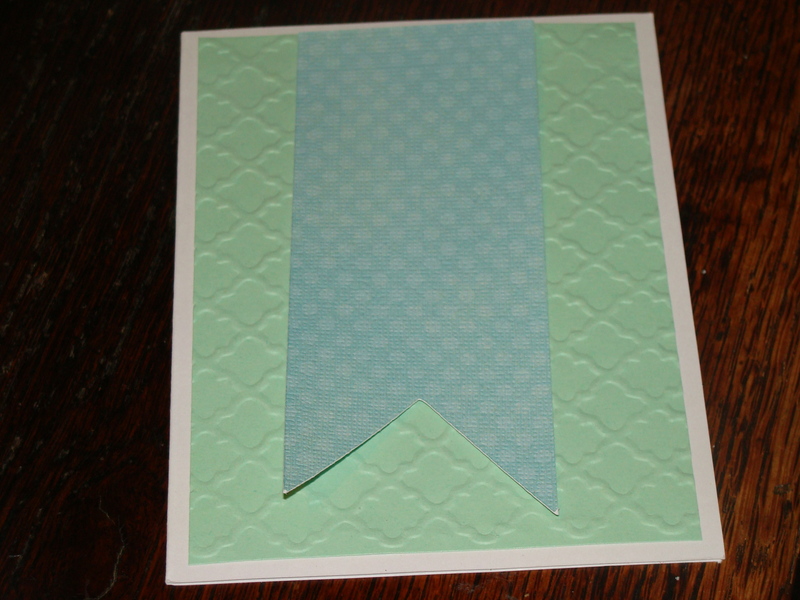 I cut a piece of kraft cardstock to 3×6 inches and folded it in half to make a gift tag. I trimmed the brown paper to 2.75×2.75 inches and put one piece of washi tape on the side. I adhered the paper to the front of the card, and the frog image on the paper. I punched a hole at the top corner of the card (by the fold) and tied the gift card to the handle with some hemp cord. 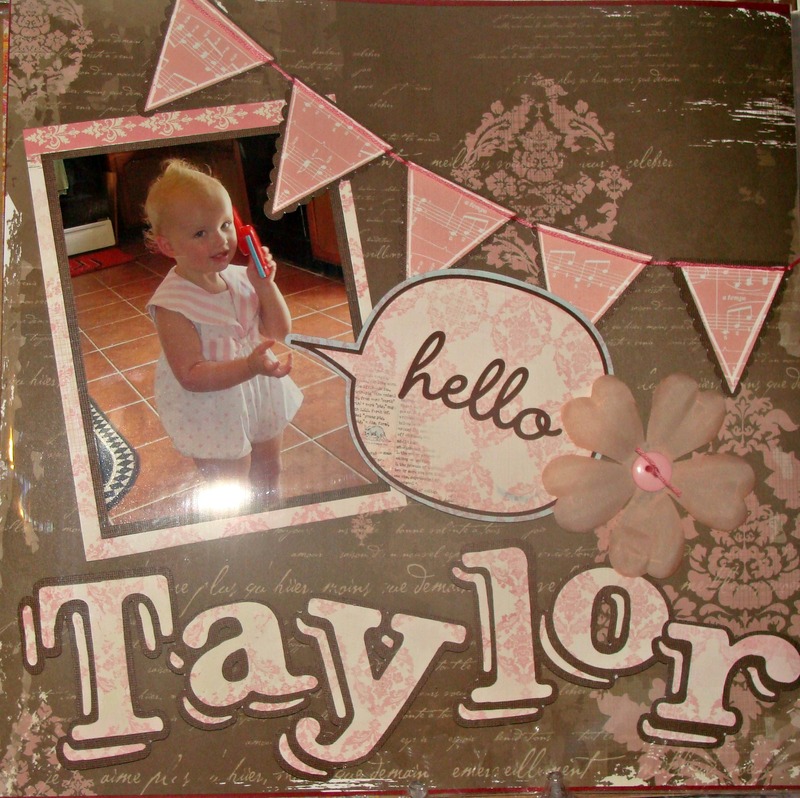 Here is a super cute gift bag with matching gift tag! You can see more of my projects on my BLOG! My design team post for this week features the new Cricut cartridge- Chalkboard Fonts. This is by far one of my new favorites for a font cartridge. I love the way the letters look like they are intricate but it’s a breeze to put together. I also used Pretty Pennants to make the banner and my Imagine with the Imagine More Cards cartridge for the Hello bubble. This page went together so easily with 2 double sided sheets of patterned paper, a Prima flower and some dark brown cardstock. I also used a white Signo uniball pen to outline the pennant to give it some pop. I used some embroidery floss to sew the banner onto the paper. An added layer was to use foam squares to pop the letters off the paper. With the layered letters, it really added some oomph! Hi!! Lori here from ScrappinMyStressAway and I am super excited to share this Yummy note card set today at CricutDIVA!! I made a set of 3×3 cards with truffles on them from the Cricut Imagine Yummy Cartridge. 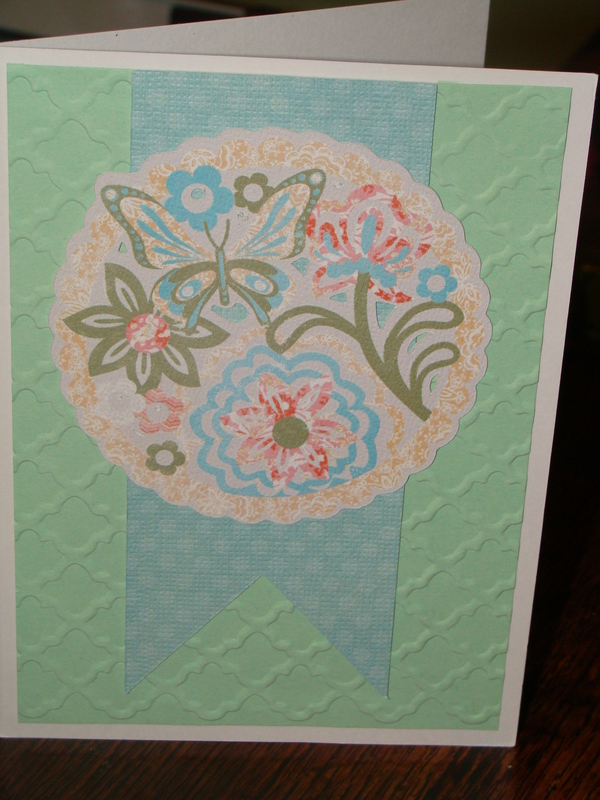 I printed out the light pink distressed-look pattern on white cardstock to use as background paper for my cards. 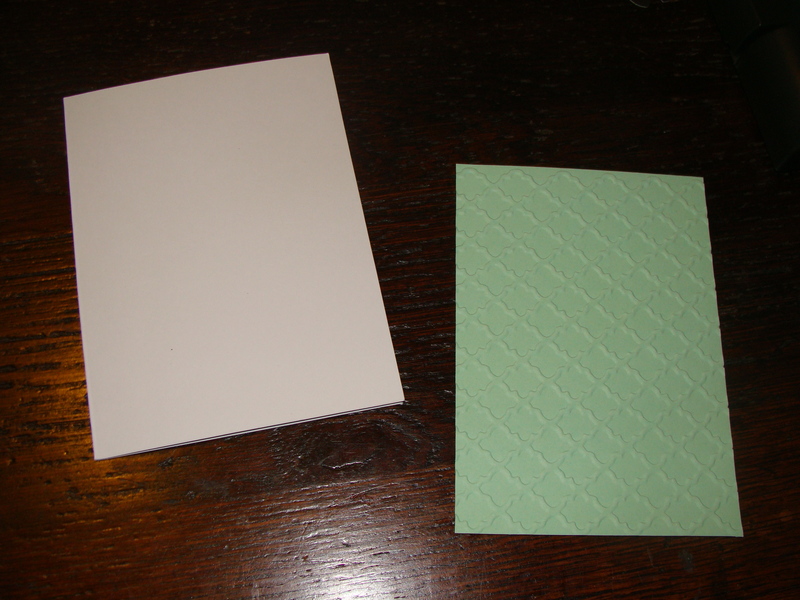 I cut them to 2 7/8″ squares and adhered them to my note card (3×6 folded in half). I printed and cut out the three truffles and mini cake at 2″ each. I inked the edges in Vintage Photo ink, and added a little stickles to each piece and let dry. Before I adhered the patterned paper to the card, I wrapped a piece of 3Girl Jam 1/3 the way up the paper. I chose the blue to bring out the bit of blue in each card. I got the We R Memory Keepers Envelope Punch – super cool new toy!!! I wanted to make envelopes for my little note cards. Making the envelopes were fun, once I watched a YubeVideo on how!! I found this Enveolope Gum at Archivers to seal the envelopes. I just painted the glue on and let it dry. It just needs a little water to seal. I made a little folder to keep the card set in – this makes a great gift idea!! I started with a piece of Kraft cardstock and cut it to 8 1/2″ x 6″. Placing the paper horizontally on my Score Board, I scored 2″ up from the bottom to create the pocket. I turned the paper to score the fold lines. I scored at 4 1/8″ and 4 3/8″. I used my ATG gun to adhere the center of the bottom flap (pocket) to the spine of the folder. I punched a hole on each side of the pocket. I ran a piece of 3Girl Jam ribbon across the inside of the folder and used a glue dot in the spine to hold the ribbon down. When you close the folder, simply tie a pretty bow. What a Yummy Gift card set! These are great for teachers, friends or even secret pals. I included this set in an Easter Swap gift with another paper crafter! You can find more of my work on my personal blog HERE. I’m what I would call a novice card maker. I have always made simple cards for family, but up until Christmas, I hadn’t really tackled making more detailed cards and actually sending them to friends. In September, I decided to get back into scrapbooking, and after being out of the loop for a couple of years, it didn’t take me long to discover that a lot of new things had been coming out! I bought an Imagine as an impulse buy from ebay, because I was intrigued at the thought of a machine that would print and cut. I haven’t ever regretted that purchase! With the Imagine I decided that my cards had a personal touch while also looking (almost) professional! This card is a great example of mixing the Imagine with the Expression 2 to put together a card in less time than it would take to drive to the store and get one! If you don’t have an Imagine, then a cardstock die cut would certainly work! 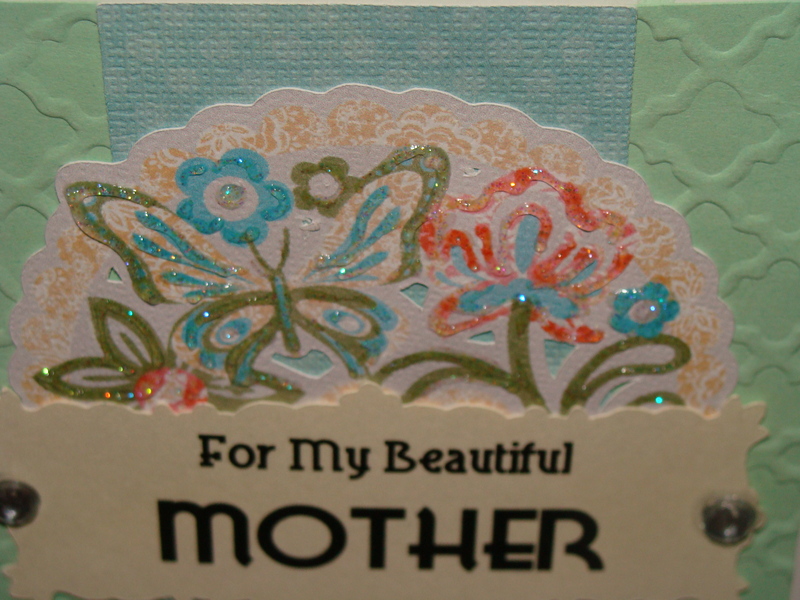 To start I chose a pre made A2 card and then cut a soft green sized a little smaller than the front of the card. 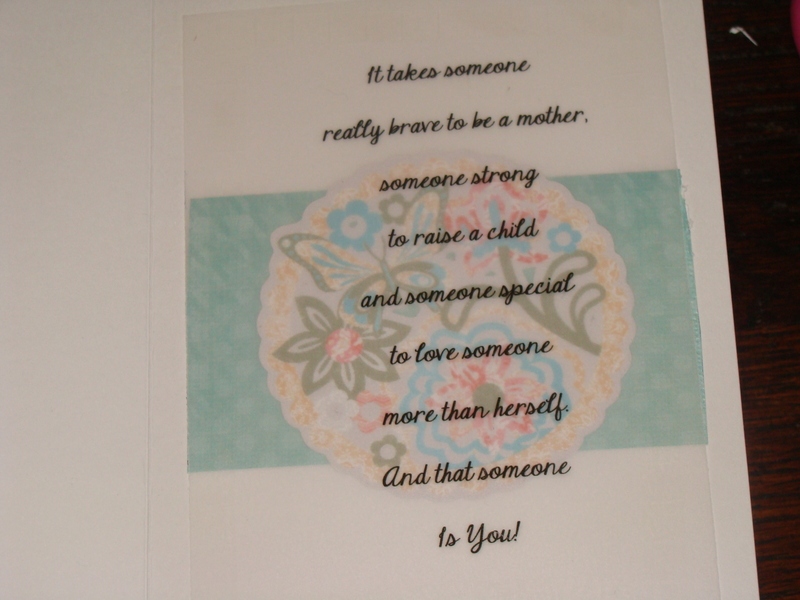 I ran it through my Cuttlebug with an embossing folder from The Paper Studio and attached it. The “cut it free for a week” from the Craft Room is Love Mini Books and I found the banner that I cut in a sort blue at 3 1/2 inches and attached that onto the green background. 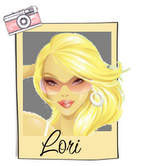 I used my Imagine and the Lori’s Garden cartridge for the die that is placed on the banner. I sized it at 3 inches. Using a Word document I went in and played with fonts until I found what I liked for the front. It’s a mix of 2 fonts. For My Beautiful is Blue Plate Special and Mother is Lake Woebegon. I printed a sample to use as a template and then I went back into the Craft Room and found a banner from the Bloom cartridge. I sized it at 3 1/2w x 1 1/2h. After cutting it I used some tabs to attach it to the printed template and ran it back through the printer, to get it printed on my cut shape. Before finishing the front, I went to work on the inside. The Internet is a Godsend for finding quotes and poems quickly! I typed Mother’s Day quotes into my search engine and browsed until I found this one. I copied it into a word document and played with spacing and fonts until I was happy with the way it looked. I then printed it on vellum. Under the vellum I attached a blue strip like the one on the front and another die cut that was sized at 2 1/2 inches. It gives the inside just a little bit of color! I then took some Stardust Stickles and lightly traced around the flowers and butterfly to give it some sparkle. 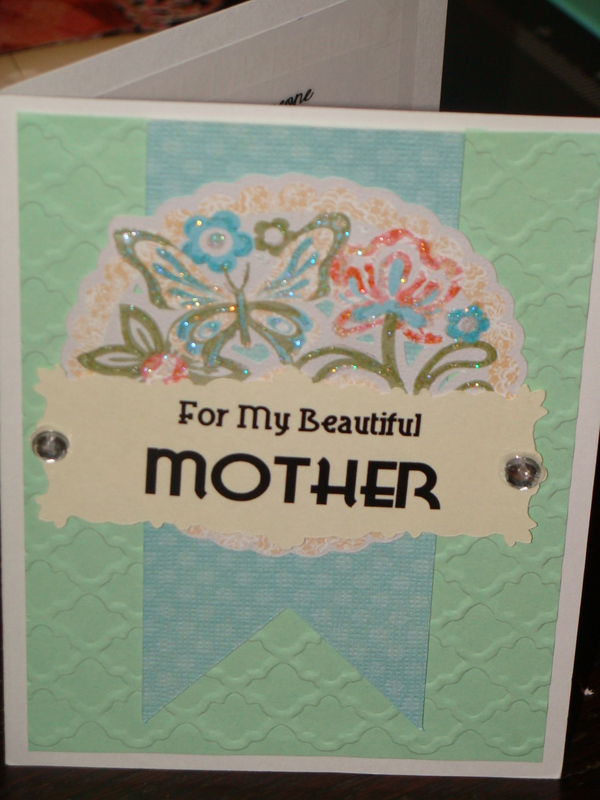 I also used 2 rhinestones and placed them on the banner to make it look attached to the card. Thanks for looking and I hope you enjoy my card! Enjoy your Saturday and be sure to make some memories along the way!